The quality constructed homes at Cameo will be situated off of Yarlington Cresent and will each have dramatic views of the hoodoos that follow the South Thompson River valley. 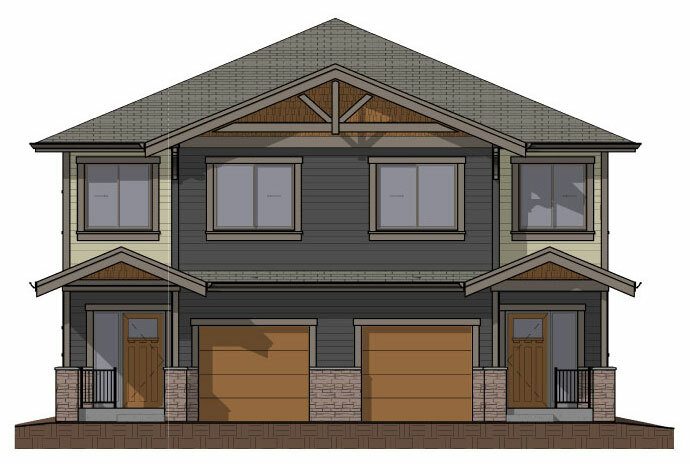 Each unit of this duplex will feature an open concept main floor living space including a modern and light kitchen with ample counter space and storage. The living room and dining space feature convenient access to an outside patio area allowing for those summer BBQs and get togethers. The powder room and extra closet space on the main floor is an added benefit to this space and is conveniently situated next to the garage and main entry. The upper floor consists of 3 spacious bedrooms and two modern full bathrooms. The large master bedroom with a full ensuite and walk in closet give this unit a unique and comfortable feel. The top floor laundry is strategically placed amongst the bedrooms. 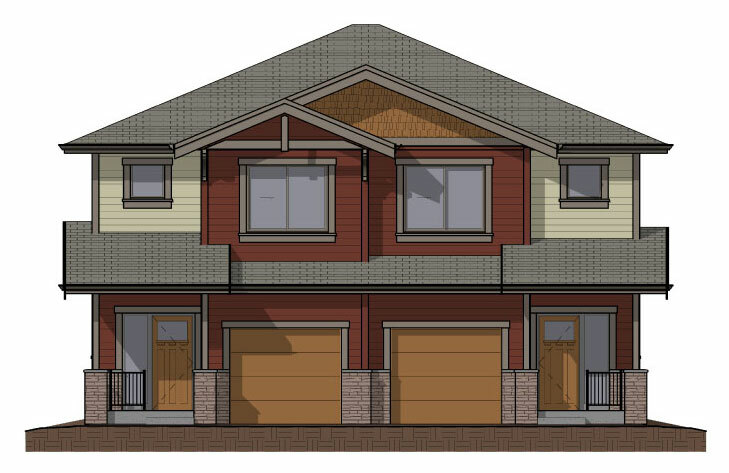 The single car garage and full size driveway will allow for two car parking. The generous visitor parking means there is always room for your guests. 127 - 200 Grand Blvd. 115 - 200 Grand Blvd. 116 - 200 Grand Blvd. 117 - 200 Grand Blvd. 118 - 200 Grand Blvd. 119 - 200 Grand Blvd. 120 - 200 Grand Blvd. 121 - 200 Grand Blvd. 122 - 200 Grand Blvd. 123 - 200 Grand Blvd. 124 - 200 Grand Blvd. 125 - 200 Grand Blvd. 126 - 200 Grand Blvd.